2017–18 National Merit | Birdville ISD Staff Blog! BISD is proud to announce it has two National Merit Semifinalists and five National Merit Commended Scholars for the 2017–18 school year. Nearly 1.5 million juniors in 22,000 high schools across the country entered the 2018 National Merit Scholarship Program last year by taking the PSAT/National Merit Scholarship Qualifying Test. Less than one percent of the nation’s high school seniors received the prestigious designation of becoming a semifinalist this year. To become a finalist, a semifinalist must have an outstanding academic record throughout high school, be endorsed and recommended by the high school principal, and earn SAT scores that confirm the student’s earlier performance on the qualifying test. 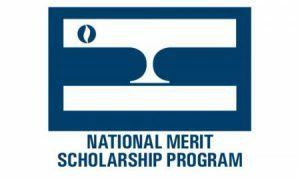 The National Merit Scholarship Program will announce additional program honorees later this school year.